Adela completed seventh grade and wanted to continue learning. But because her father was already planning her marriage, she could not go further. But Adela loved to sew. But she managed to escape the marriage and ran away to Arusha town. There she worked as a housemaid. 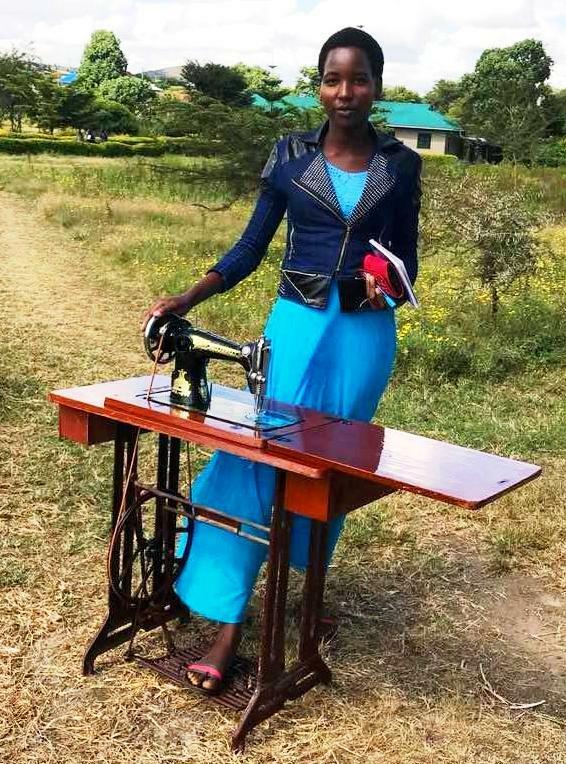 When her employer noticed that Adela was interested in designing and sewing clothes, she took her to a tailoring course that she could attend while still working. 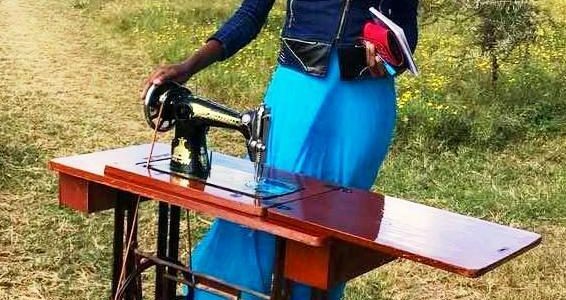 “After I completed the course, I used the money I had earned as a housegirl to buy a sewing machine. Because I had spent all my savings, and didn’t have more to pay rent, I decided to go back home and start sewing. I joined other fundis and shared an office for the business. The Cypress Hill Institute is in the village of Lashaine, just south of Monduli town. Before it was ours, a vocational school was in the process of finishing classes and closing down. The school had offered tailoring, and we received 20 pedal sewing machines along with the buildings. We decided that these machines would be best in the hands of women who really wanted to sew. We thought some might want to start tailoring businesses for themselves. The Project hired a technician to inspect and repair the machines. We located Lashaine women who wanted to become tailors, or improve their existing sewing skills. These women had clear aims, and the confidence and experience to initiate related businesses. The Project provided training led by an expert tailor. Upon completion, each woman received her machine as her “diploma,” delivered right to her home. We look forward to visiting them soon and seeing how they are using the machines.